Welllll ... I didn't, I promise. I'll spare you the details of how life has played out for me over the past year but suffice it to say that my creative pursuits have suffered accordingly, as evidenced by one pitiful blog post in the whole year. However, I'm recommitting myself to more regular self-care and self-love, which, for me, includes playing with yarn ... and blogging about it. Today is as good a time as any to start. As usual, I have way too many projects on needles and spindles but when has that ever stopped me from starting something new? I recently-ish got hip to the Yarnathon game at Eat.Sleep.Knit and decided to play along. I probably won't do a whole lot to earn points or stars for my team but this will be a fun thing to do this year, and will hopefully help me regain my knitting mojo. It's 70/30 cashmere/silk and it is sooooo soft! Even with the number of in-progress projects I have, I can't resist casting on something new. 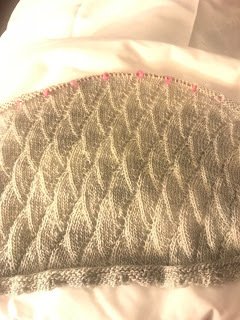 I think I've decided on the Shetland Triangle Lace Shawl. The yarn is very thin and quite a bit different from anything I've knitted with lately. I've had a bit of trouble getting started, but I'm chalking it up to "operator error" as I haven't identified a mistake in the pattern, and I haven't seen any indication that there is errata available. Maybe I need to sit in complete silence to work on this until I get the hang of it. 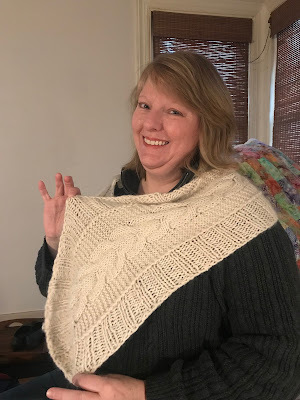 This pretty lacy shawl is a new project I started over the holidays. It's called Dragon Scale Scarf, and I've expanded it so that it should end up more like a shawl once it's soaked and blocked. 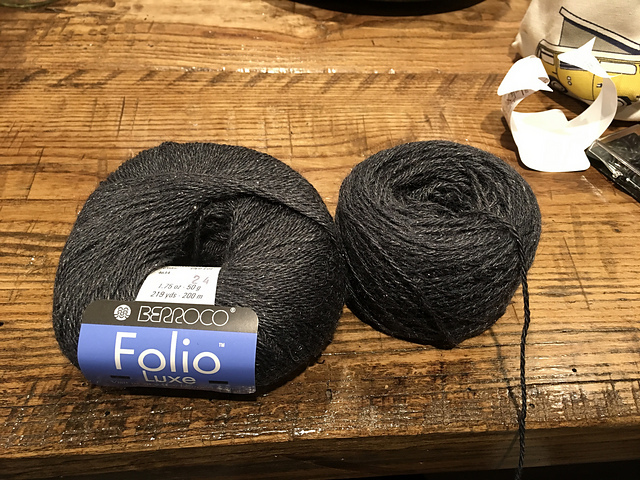 It's an easy pattern to memorize, and lots of fun to knit out of Madelinetosh Tosh Merino Light, in a color called Silver Fox. 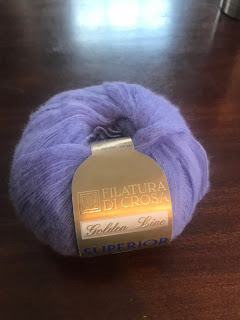 I have 3 skeins of this for a total of 1,260 yards. Should be nice and long. And now it's way past my bedtime so I'll stop for now but I'll be back soon to catch you up on other crafty goodness! My apologies for being away for so long. Life has a way of getting in the way! I am also making one for Lisa's 2-year-old daughter. It's not quiiiiiiiite finished, but will be in just a few moments. All that's left is to tuck in the ends. Here's some background on that. I have a friend, Brenda, who works with a woman named Melissa. 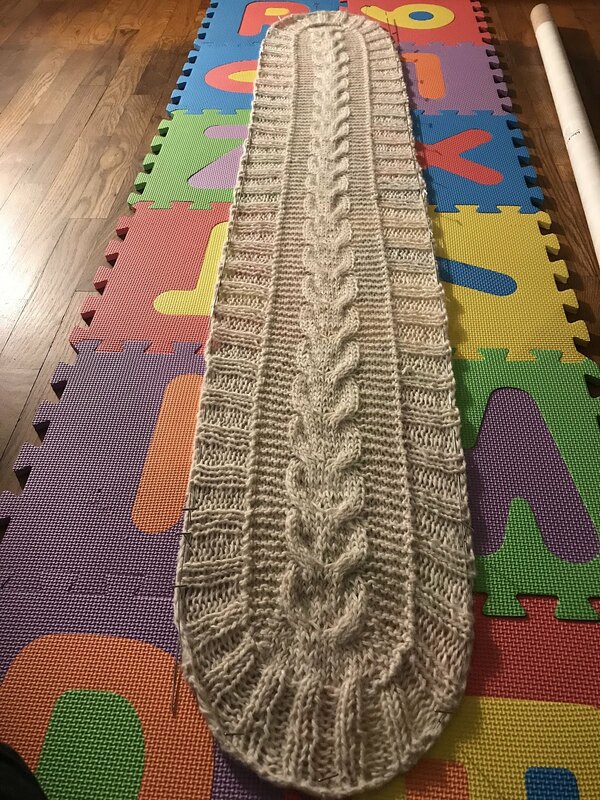 When Melissa's mother passed away, Melissa gave Brenda her mother's knitting supplies which included this partially knitted baby sweater. Melissa's daughter recently had a baby girl, for whom Brenda had started knitting a sweater. Brenda asked me whether a piece of the great-grandmother's knitting could be incorporated into the sweater that she was knitting for the new baby. After looking at both sweaters, I deemed it wouldn't be possible to do a sweater "mash-up." 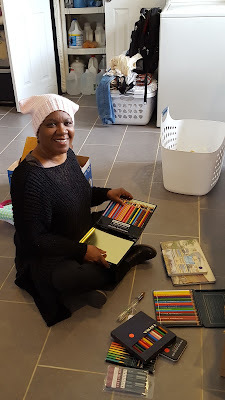 So I asked Brenda to let me have the partially knit sweater and I'd see where great-grandmother left off in the pattern, and that I'd let her know how to finish it. As I was puzzling over piecing it together, I decided to just go ahead and finish it. Isn't it precious? 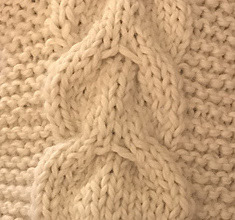 I enjoyed knowing that the little bit of knitting I did will provide an heirloom for the family to treasure! Maybe I am starting to get back into my knitting "groove." I really do hope so.